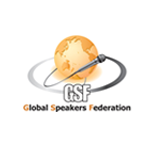 The National Speakers Association (NSA) is the leading organization for speaking professionals. Speakers must qualify in order to belong to this organization. NSA includes experts representing a variety of industries, and who speak to audiences as trainers, motivators, consultants, educators, and more. Since 1973 NSA has provided education to advance the skills, integrity and value of its members and the speaking profession. Have you won any speaking awards? How do we book Deanne? If you already know the date of your event, then call our office or e-mail me to discuss the specifics of your program. We will then e-mail a proposal to you. When all the details are agreed upon, a contract is signed and returned with a deposit. Will You Hold a Date For Us? Do You Have a Rate for Non-Profit Organizations? Yes. All the specifics will be discussed about your organization and the details of your program. Your non-profit status will be taken into account when preparing your quote. I started out as a university instructor. Over the years I have taught in a medical school, a major university, and have lectured at a number of junior colleges. When I left academia I worked and trained in several fortune 500 companies, and have consulted in many industries including medical, pharmaceutical, utility, and banking. I present an average of 58-77 keynote and training programs a year to a variety of industries. Most of my audiences are made up of Doctors, and Managers. I have spoken to small audiences as well large audiences of over 1,000. I am a full-time speaker and focus on keynotes, team-building, and business excellence workshops. Why Hire an RCC Coach? The RCC (Registered Corporate Coach) is awarded through the WABC (World Wide Association of Business Coaches). 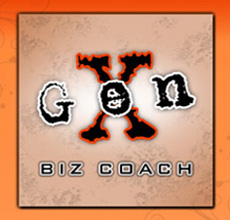 The RCC is for business executive coaches. One must qualify prior to enrollment and then in order to receive the RCC designation complete classes, oral and written requirements, demonstrate competency, and pass an exam. In addition to the RCC- I am one of a select handful of coaches allowed to teach the RCC certification course ( which required additional training and certification). I have been known for being very creative. I often use games and toys in my presentation, and I believe in fun. I am a gourmet cook and love to flambe’. My husband is always afraid I’ll burn the house down when I’m cooking. On a serious note I have a strong Christian faith. Through my spiritual ministry I often donate my time and resources to churches.